I began I Am Alive without much pretext. Although I had watched a few preview videos from E3 last year, I forgot about the game within a few months. When I noticed it was released on XBLA/PSN recently, I didn’t know what to expect, except that I may be spending $15 on a game that is worth $5. Without any context to see what I was diving into, I wasn’t sure if the game would fade to the back of my hard drive in 5 to 10 hours, or if I would go back to it again the next day. Either way I knew I was in for an adventure. From the start menu, I Am Alive portrays a stark, post apocalyptic setting reminiscent of Fallout. The story begins with Adam arriving on a destroyed city, Haventon, looking for his wife and daughter. From the beginning the story feels pushed and squeezed to fit into a smaller size. Adam has travelled from the east coast (to apparently the west coast) to find his family, yet I never got to see any of that adventure. There was nothing explaining why it took him a year to get to Haventon except something about injuring himself. And nothing about how he was stuck halfway across the country when “The Event” occurred. Consistently “The Event” is referenced as the cause of the apocalypse, but never really explained. The aesthetic of the world is set in every detail. With every overturned car and half-destroyed street, the game really drives home the grim situation the survivors are in. Unfortunately the world is covered in a kind of fog that prevents you from seeing further than 2 feet in front of you. Instead of showing off ruined buildings and desolate landscapes while exploring the city, 80% of time, your vision is covered in a dust cloud that becomes annoying. Why would you spend time setting a scene only to show it off rarely? While doing random acts of kindness for a paraplegic and a little girl, you travel across the city of Haventon, finding various victims in need of help and more aggressive defenders of their territory. Once again I felt like I was playing a piece of a $60 game. It seemed like Adam’s adventure in Haventon was just a small part of his story. As I played through the game, I kept wondering if there was more that I didn’t see or know because the game never explained it to me. This compressed feeling shows up throughout the gameplay mechanics as well. While travelling through this fictional city you meet helpless victims and violent attackers bent on surviving the apocalypse. One of the few aspects I remembered from the previews was the mechanic of pulling out your weapon when encountering other people in the city. While in the beginning you have no bullets, you can still raise your gun as a way to threaten other people or convince them that you’re not to be taken lightly. While the concept was intriguing, the mechanic itself never evolved. Throughout the game, I just waited until no one else had a gun and then raised mine, scaring everyone else until I killed them. I was expecting a more varied options throughout the game. Perhaps if I didn’t kill them they could run off, or if I threatened them I could take a resource like water or food from them. The mechanic felt ham-stringed and downsized to fit the game; and the same goes for the climbing. 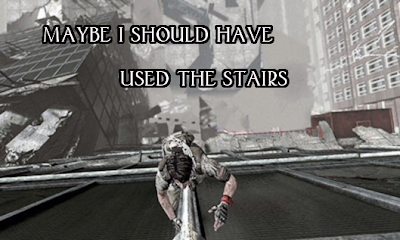 Since the city is destroyed, Adam has to frequently climb up and down to get to his next objective. The climbing isn’t anything Uncharted’s Nathan Drake would sweat over, but it is interesting since actions like climbing uses stamina. When you climb or run, you burn stamina, which can be replenished by drinking and eating various items you pick up along the way. Since items are scarce you must determine how to use your resources wisely. The game does a solid job of making you consider whether each bullet or water bottle is worth using, or saving for a later time. Once you die, you must use a retry and start from the most recent checkpoint, and once you use all of your retries, you must start over from the most recent “episode”. This old-school approach to death and “retry” consumption is nice because it makes each retry worth something. It helps reinforce the idea of learning from your mistakes by presenting a real disadvantage to trying the same thing over and over without thinking about how to solve the problem at hand. While travelling through the city, your map is updated with sharpie edits concerning wreckage and paths that are blocked. As the city map is updated, I wondered if at one point in its development, that I could explore the city freely. I Am Alive is pretty narrow in moving from point A to B with a little room for item finding. Each time the map updated, I wondered if there would be a point where I could find my own way to the next checkpoint without the game telling me I was going the wrong way. Unfortunately, this was not the case, as the linearity of this game paralleled that of Final Fantasy XIII, without the free roaming bit at the end. In any case the gameplay, no matter how squished it felt, was somewhat engaging and got me through the 5 hours it took to finish. Since there was no multiplayer aspect except a final score for completing the game and an online scoreboard, I doubt I would play I Am Alive more than twice. 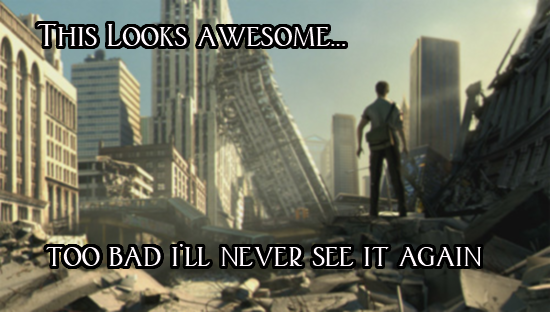 But I did enjoy my first play through, and that’s what counts. Verdict: Overall, the game is worth the $15 I spent on it, if just barely. I could look past its flaws and enjoy the game for a while. The gameplay mechanics were interesting and each decision whether I shot someone or used a water bottle to regain some stamina had evident circumstances. 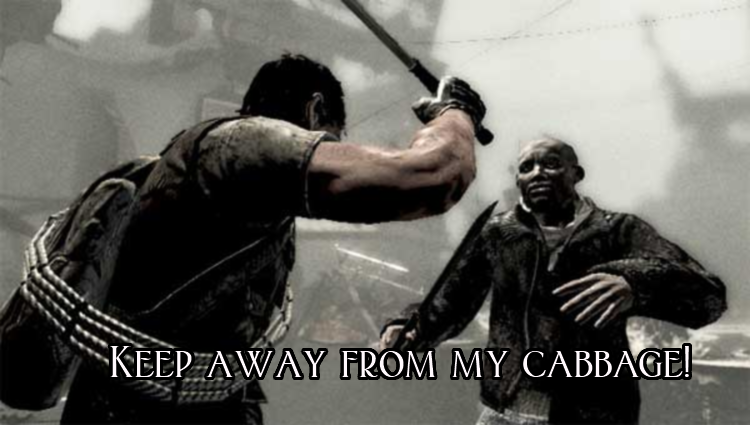 However, it left me wondering what the original, full game looked like and if it would have been any better. 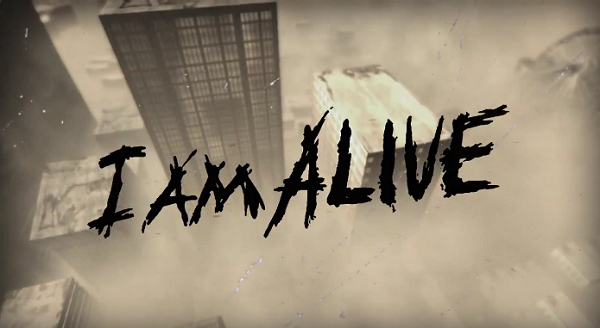 If you like to play games akin to Uncharted, then I Am Alive is a fun diversion to play through. I wish this game had a little more to it, like more back-story or another city to run around in, but I was okay with the game as a whole. I hope that the game can do well and possibly see an episodic release similar to games like Back to The Future on Steam, adding more to the story or providing different perspectives on “The Event”. Either way the game has its downsides, but if you’re willing to look past them, you can count on I Am Alive for five hours of fun.